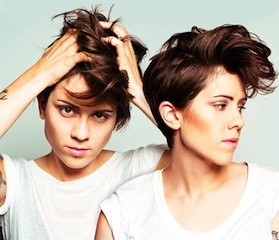 Tegan and Sara have announced they will be announcing details of a West Coast headlining tour in September. The Canadian indie-pop duo revealed in a statement, which can be read below, they will be touring the West Coast in November with stops in Seattle, Portland, Oakland, Los Angeles, San Diego and more. Post by Tegan and Sara.